What if Georgie Denbrough returned to the screen after his demise in IT? 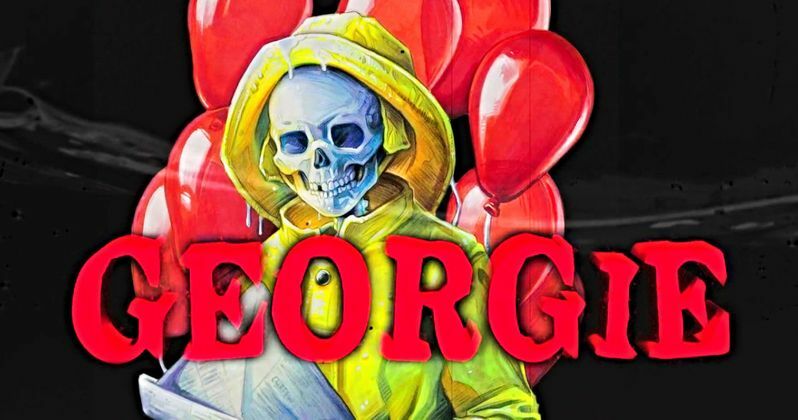 That's the question independent filmmakers John Campopiano and Ryan Grulich are asking as they attempt to bring Georgie back to life after all of these years in a short film entitled Georgie. Campopiano and Grulich have teamed up with original 1990 IT miniseries Georgie actor, Tony Dakota, and are trying to raise funds to get their new short film made. Fans of Stephen King's IT can help this new story become a reality. John Campopiano and Ryan Grulich have focused on telling stories that have yet to be told and exposed hidden truths of film, television, and pop culture over the years. Their newest project, Georgie, is an experiment in "what if?" reimaginations. As previously mentioned, the award winning filmmakers have partnered with star of the IT television miniseries, Tony Dakota to reimagine the unparalleled horror of Stephen King's most iconic story and one of its most tragic characters, Georgie. Georgie started out as a very basic idea from a "what if?" conversation. What if, years after his apparent death, Georgie Denbrough returned to the screen? As two gigantic fans of the original 1990 IT miniseries, John Campopiano and Ryan Grulich decided they wanted to explore the possibilities of that basic idea and turn it into a short film. According to the filmmakers, Georgie will "shake your mind and rattle your bones," which sounds perfect for fans of Stephen King. John Campopiano and Ryan Grulich have set up a crowdfunding page to raise over $20,000 to get Georgie made and, as of this writing, they have made just over $1,000. There's still a month to go to donate to the project. Some of the rewards available include getting your name in the credits, a signed 8X10 picture of Georgie by Tony Dakota, some awesome shirts and sweatshirts with their logo, and even a phone call from Dakota. There is some risk involved, but it appears that this IT fan-made short film is already gaining some popularity, which more than likely has to do with the success of Andres Muschietti's big screen adaptation of the Stephen King masterpiece. John Campopiano is a filmmaker who co- wrote, produced, and directed the popular 2017 documentary, Unearthed & Untold: The Path to Pet Sematary, which has been praised by fans. Campopiano is also the writer and co-producer on the upcoming documentary, Pennywise: The Story of IT. Ryan Grulich is a writer/producer/director who produced the 2017 film, Foolish Mortals, which is a documentary about Disneyland's Haunted Mansion. Other details about the Georgie short film aren't available at this time, but Campopiano has recently come into popularity for tackling and dissecting the big and small screen adaptations of Stephen King's work, so he knows a lot more than the average fan. You can head over to Indie GoGo to help make the Georgie short film a reality.